But more shiny nails…. 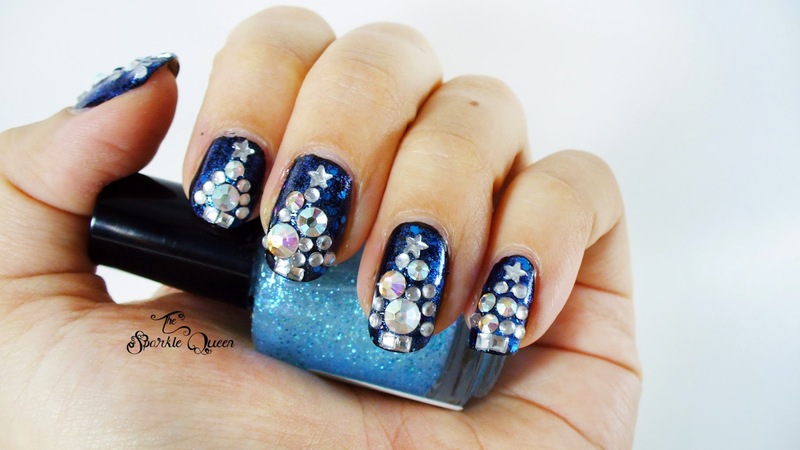 I always love the textures of the rhinestones when I am rocking them on my nails, they are just so fun! Did I mention sparkly?! I wish I could have caught some “out and about” in the sun, they are STUNNING! yeah, I’m afraid there is only 1 left, but if you want it, you can get it here. I’ll do my best to share with everyone else too! Hehe thanks! 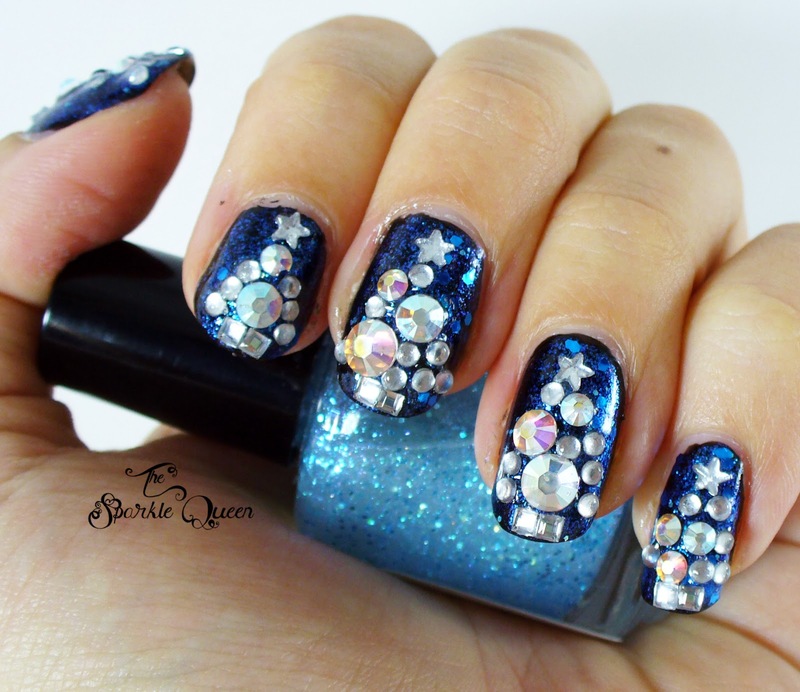 I'm LOVING all the bling at my fingertips this holiday season! <3 these so much! I was looking for inspiration and a new take on the Xmas tree theme and I think I've found it! Gorgeous! 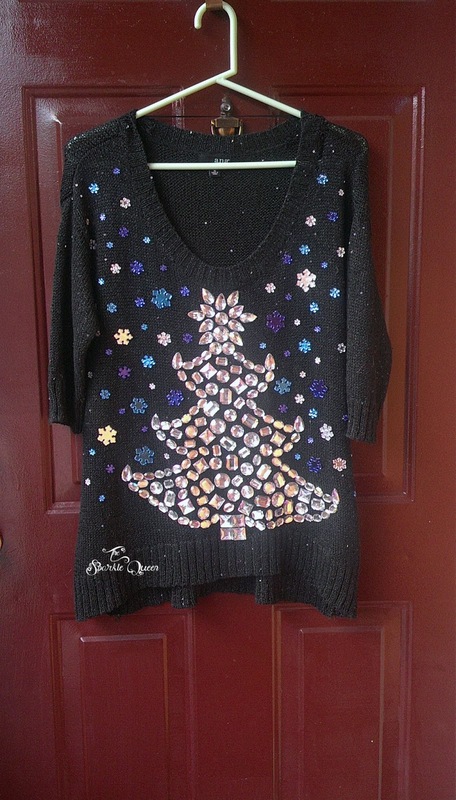 wait wait wait ..you DIY the sweater *__* How cool is that?!!! Can it get any better? Yess it can, the print on the nails! Awww thanks love! You've put a smile on my face with all those compliments 🙂 I'm glad you enjoyed the bling duo as well! Hopefully you'll be seeing more of my rhinestone decorations more in 2014! These are absolutely GORGEOUS! 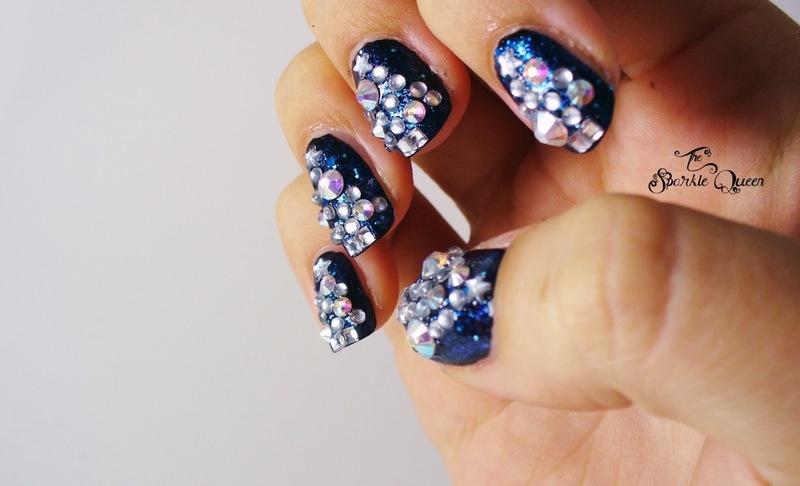 I love the sparkles! And wow – you actually made the sweater, amazing 🙂 ! Thank you for your kind words Emma, I'm so glad you loved how they all came out! Thanks for checking out the post and sharing your thoughts! Happy 2014!